Legendary XRAY premium design, workmanship & material quality, and unmatched attention to detail result in a state of perfection achieved by well thought-out refinements to create a car that is easy to drive, work on, and adjust. From unique HUDY Spring Steel™, through the world’s strongest Swiss 7075 T6 aluminum, along with XRAY’s own secret composite materials, to premium high-grade graphite materials… everything is exclusive and premium on the X1. Using premium European exclusive materials crafted by XRAY’s engineering artists using state-of-the-art German, Italian, and Swiss CNC machines, the X1 is born from the finest the world has to offer. No other 1/10 Formula car had such an incredibly outstanding prototype debut than the new X1. 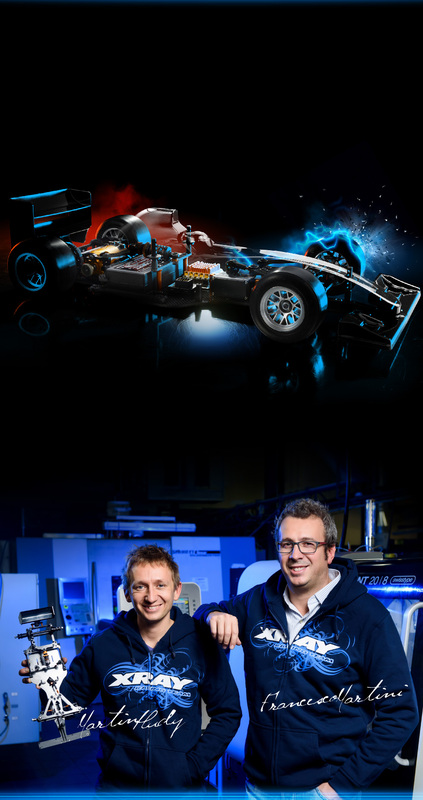 Jan Ratheisky and Francesco Martini debuted the very first X1 prototype at its first official race at no less than the world's most competitive race series – the ETS series. They went on to have the most successful prototype debut ever by claiming an overall ETS season formula champion title by Jan Ratheisky, and third overall position by Francesco Martini. 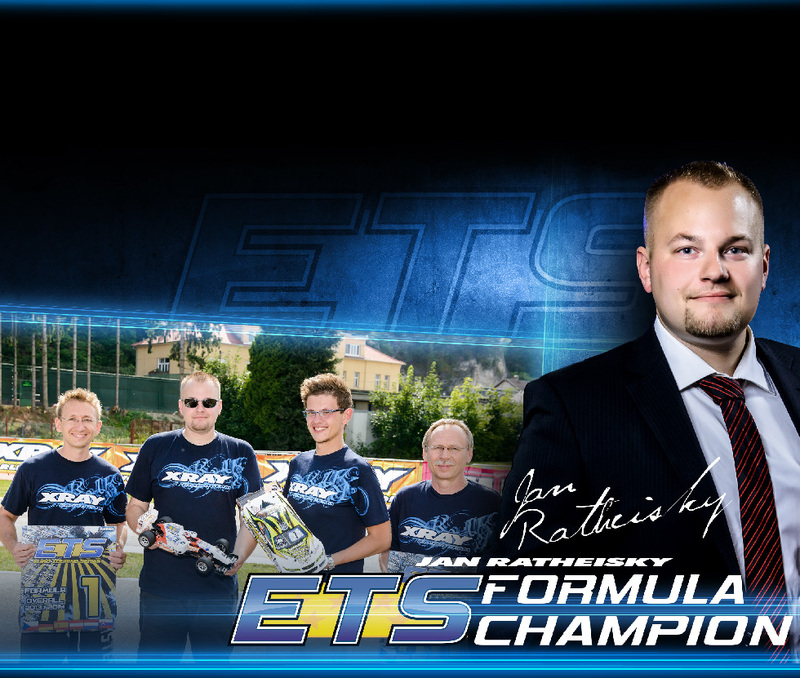 Now the rest of the world can enjoy and race the same ETS Championship-winning Formula car; trialed by fire and successfully proven itself in the most competitive racing series in the world. “The X1 project was very dear to the hearts of the Development Team, having been a long-awaited and long-coveted project whose time had finally come. Responsibility was split between three key people: myself, Francesco Martini, and Jan Ratheisky. Franci has been very instrumental in the R&D of previous cars – especially the T4 – and on the X1 his creativity and attention to detail really shone brightly. 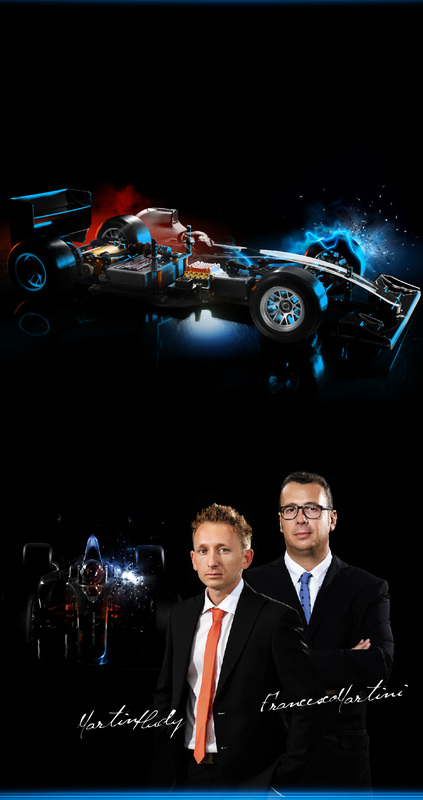 His passion for F1 drove him and the project to new heights and it was an easy decision to have him take over this project. Working in his native Italy, Franci was responsible for inputs to design, and testing the first prototypes. Thanks to the marvel of near-instantaneous communication and collaboration, we stayed in daily contact. Ideas and changes were integrated into 3D models, and after more collaboration there were further evolutions of design. Rapid prototypes were sent to Franci for testing and data collection, which resulted in even further progress. 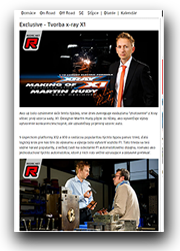 We had the good fortune to have Jan Ratheisky join our team, and he was very excited to have the opportunity to be part of the R&D team and test our X1 creation. 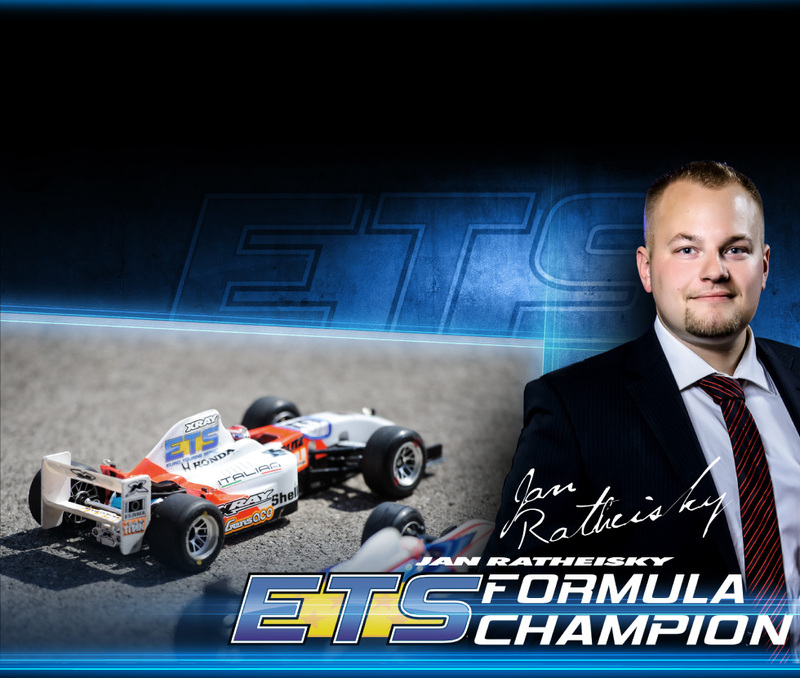 Jan is one of the world’s best formula racers and ETS formula champion, so our project was in very capable hands; if Jan liked it and was faster because of it, we knew we were doing things right. Working with Jan was very positive and effective, and immediately our progress started to take giant leaps forward. The pace was fast and furious, sometimes exhausting but always thrilling. Exclusive photos from Making of X1. Chassis design, layout, and flex have significant influence on handling of the X1. The final chassis design offers optimal stiffness for excellent handling, while still being flexible enough to generate maximum traction. The super-narrow chassis front allows for maximum traction while keeping sufficient steering and cornering speed. The chassis has ideal torsional stability, while at the same time eliminating the “scrub effect” in high-speed corners. CNC-machined from custom-manufactured 2.5mm high-grade graphite material with a specially-designed compound for carpet racing and asphalt racing, the X1 handles ideally on either indoor or outdoor tracks, on either carpet or asphalt. The chassis is the central backbone of the car. All main components attach to the rear pod suspension, which is directly connected via chassis links. The layout of the electronics and position of individual sections of the car were designed with optimum weight distribution and balance in mind. During the design and prototyping phase, several different layouts were tested, and an extensive amount of data was collected, compared, and evaluated by the Factory Team before the final design was chosen. The steering servo is located in a lay-down position for lowest CG at the chassis center, and the layout of the chassis allows the batteries to be placed either inline or cross-chassis. Depending on battery configuration, the ESC and receiver can be placed in various positions to give ideal weight transfer and balance. The narrow chassis layout with super-narrow rear pod design allows the composite rear pod links to be placed closer to the chassis centerline, which improves steering response and gives optimal side-to-side weight transition. The compact and ultra-lightweight rear pod is constructed from high-strength aluminum bulkheads, graphite brace (which includes multiple wing height mounting positions), and thin but strong high-grade graphite plates. The smart pod design accommodates all motors, and allows for super-easy motor access. Eccentric composite bushings are included for ultra-fine rear ride height adjustment. The rear graphite brace holds the battery in place and is the mounting base for the side shock. As well, the side springs are positioned on the brace (instead of side links) for better and more consistent damping. Aluminum stands make for a strong design that is durable and resistant to tweak. The front center shock mount is positioned in the absolute chassis center for perfect side-to-side weight transfer. The rigid centrally-mounted shock mount (with strong aluminum stands) prevents tweak and significantly improves side-to-side stability. The X1 features a well-proven XRAY shock from the touring car platform. The unique XRAY aluminum shock absorber has interchangeable internal parts, with fixed 1-piece precision pistons which are available with 3 different-diameter holes for damping adjustment: 1.0, 1.1, and 1.2mm with 2 and 3 holes. No matter what you choose, all pistons are ultra-true and round due to a very special mould design, resulting in ultra-free movement of the piston inside the shock body. 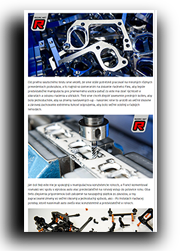 The aluminum shock body is precision CNC-machined on the world’s most precise German long-turn CNC machine and every piece is robotically-inspected and measured to ensure maximum precision and tolerance. This is especially important with the inner diameter of the shock body to ensure that each one has an identical inner diameter to guarantee ultra-free shock piston movement. The aluminum shock body is machined from exclusive Swiss 7075 T6 aluminum for maximum strength and rigidity. The shock body is black hardcoated using XRAY’s own fully robotic color-coating line with purpose-mixed color fluids, ensuring that a very even layer of color coating is applied to each shock body. After the coating process, every shock body is manually checked with high-precision calipers to ensure that the inner diameter of each shock body is exactly within very tight tolerances. The shock cartridge has been designed for self-centering shim to hold silicone O-rings, guaranteeing perfect alignment in the shock body. A finely-threaded aluminum shock lower cap secures the silicone O-rings and shims in the shock body. Finely-threaded spring preload collar is used for quick and easy adjustment. The upper aluminum cap features a small vent hole which makes shock assembly very predictable and easy, since excess shock oil will escape through this vent hole ensuring that the proper amount of the oil remains inside the shock assembly. To make the car more stable and easier to drive under various track conditions, the 2.2 linear spring was chosen as the basic setting to provide the best balance between traction, stability, and steering response. A complete range of optional springs is available for further fine adjustment. The chassis is supported by an ultra-precise micro-size side shock which is machined from premium Swiss 7075 T6 aluminum. The shock absorber is silicone oil filled to ensure constant and ultra-smooth damping. The side shock delivers maximum traction, especially in low-to-medium traction conditions. The transition of the rear pod works via the pivot brace, which features an ultra-small and lightweight pivot ball that allows for greater movement of the pivot brace. The pivot ball has an internal thread. Strong, simple, fully adjustable, yet smart and ultra-efficient front suspension consists of high-grade graphite lower & upper suspension arms, arm mount plate, and aluminum stands. Fast & easy adjustment of front caster, track-width, roll center, camber, and ride height are made via included shims and eccentric bushings. Camber is adjusted via eccentric bushing, offering 1.0°, 1.5°, 2.0°, and 2.5° settings. Front camber is easily adjusted via front upper arm eccentric bushings. The kit includes two eccentric bushings; by changing the orientation of the bushings, camber settings of 1.0°, 1.5°, 2.0°, and 2.5° can be achieved. Caster is easily adjusted via front upper plate eccentric bushings. The kit includes two eccentric bushings; by changing the orientations of the bushings, caster settings of 3°, 6°, 9°, and 12° can be achieved. Front upper & lower roll centers are easily adjusted via included shims. Changing the lower roll center position, the ride height of the car is adjusted at the same time. Front upper arm roll center is adjusted by inserting shims under the arm mount plate alu stands. Lower roll center position/ride height is adjusted via shims inserted under the front lower suspension arm alu stands. The chassis features pre-drilled holes to accommodate either a micro or mid-size steering servo. The servo is positioned in the chassis center for perfect steering characteristics, and connects to the suspension blocks via the centrally-positioned servo arm with adjustable Ackermann. Aluminum servo stands allow flat mounting of the servo to the chassis to give the lowest possible CG. The steering backstops mounted on the lower arms allow for the adjustment of maximum steering angle. The advantage of the backstops is that both steering sides can be adjusted to the same angle. Maximum steering angle can be adjusted depending on traction, surface conditions, and tires: under high-traction conditions, the maximum steering angle can be decreased to make the car easier to drive and eliminating traction rolling, or the maximum steering angle can be increased for more cornering speed. The steering arm includes two Ackermann positions; the inner position achieves maximum steering angle quicker so the car is more responsive, while the outer position makes the car easier to handle in corners. Bump steer shim thickness can be changed depending on track conditions. 4mm shims are included for the steering arm to make the car easier to drive under high-traction conditions. Tiny, tough steering blocks each feature two Ackermann positions. The super-precise inner hole for the kingpin steel pin ensures a wobble-free assembly. The efficient rear wing works in conjunction with the X1 racing body. The rear of the body has flow channels which direct air directly onto the wing to help generate rear traction and stabilize the car in chicanes. The wing is assembled via the rear wing mount system which features a graphite mount and aluminum stands. Using optional alu shims between the wing and the alu stands, the position of the wing can be easily adjusted to various track conditions. The height of the rear wing can be adjusted by changing the mounting position on the graphite plate. The high-performance, low-profile aerodynamic body was designed to perfectly fit the X1 and to work under most all track conditions while keeping the full-time F1 style and look. The front and rear of the body have been designed to provide downforce for maximum stability and direct airflow to the rear wing. The body sides as well as cockpit sides are as flat as possible to direct airflow around the body for maximum stability. The body is made from high-quality premium Lexan™ material. The integrated helmet ensures the body is legal for races where a pilot figure helmet is required without adding extra weight. Most aluminum parts are orange anodized for a very distinctive XRAY design look. The combination of traditional XRAY’s orange and black coloring gives the car the perfect look and appeal. When following any set-up sheets by XRAY or Team XRAY drivers, you can be sure that the oils you will get for your car will be exactly the same as those used by the factory racing team, thus ensuring very exacting set-ups and handling of the car. Fully adjustable front camber, caster, track-width, front & rear ride height, central & side shock absorbers, central shock spring, pod damping, battery position, weight balance, differential, Ackermann, bump steer, front downforce spoiler and rear wing.